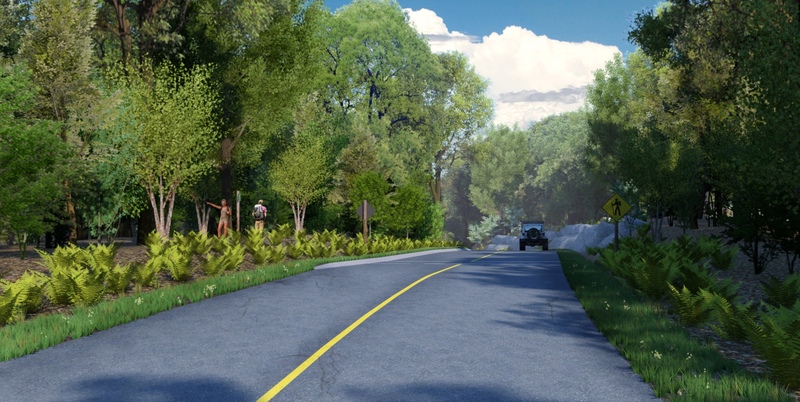 scenic parkway project though a mature forest. some rock cuts evident. rendering at the crest of a hill, the highest elevation of the parkway where is crosses an existing hiking trail.